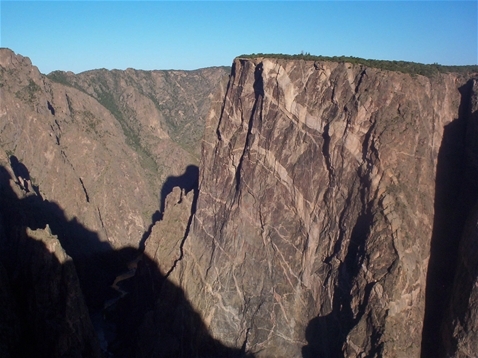 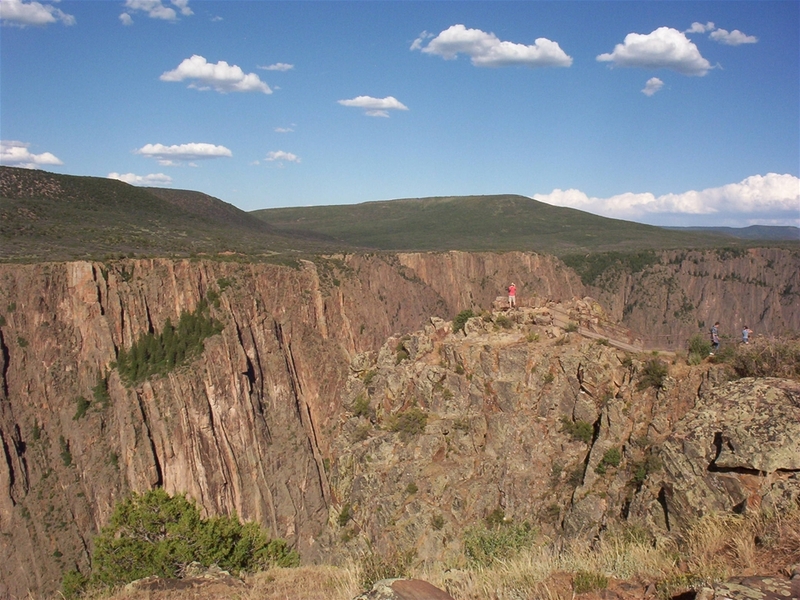 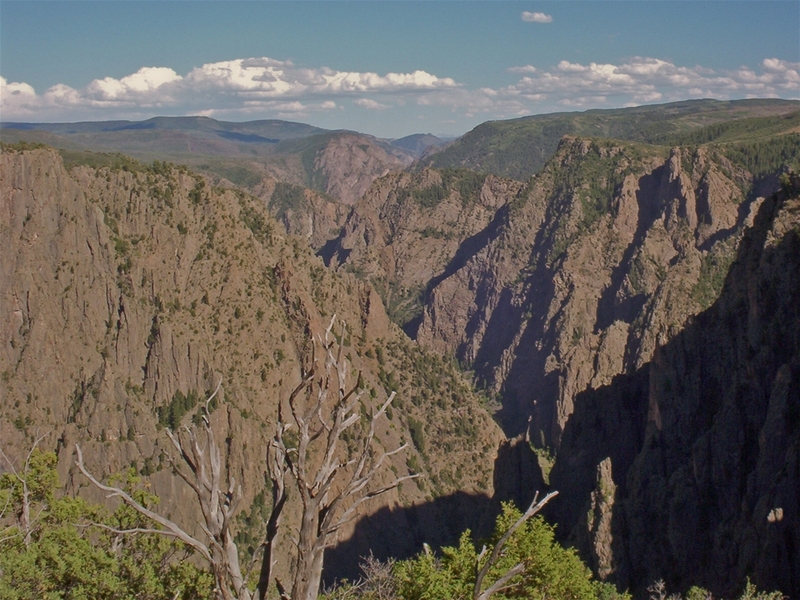 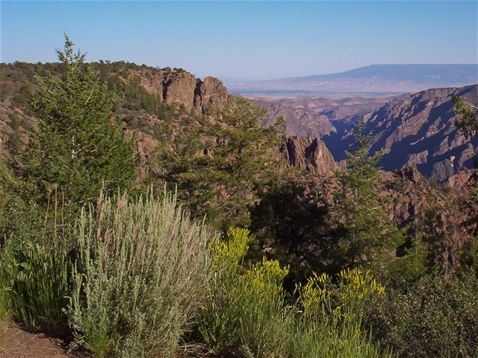 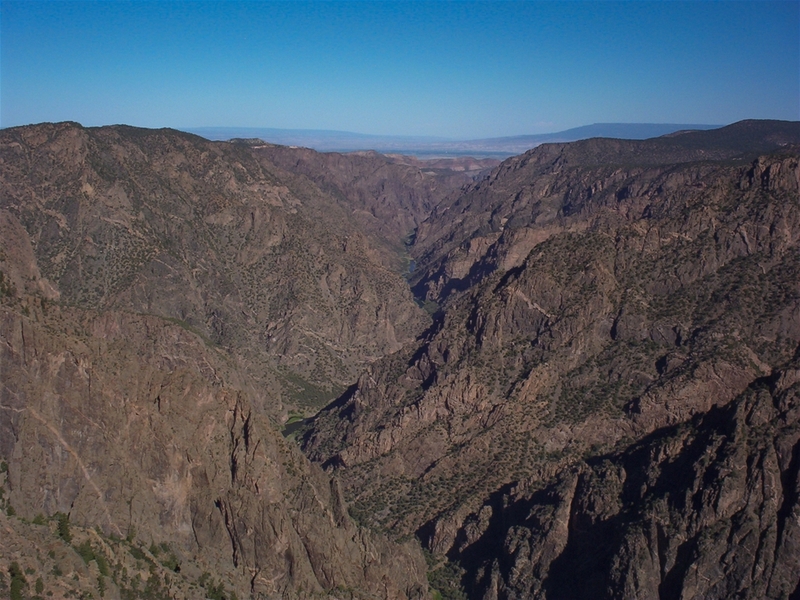 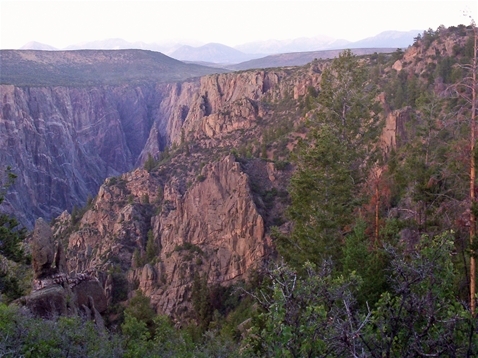 Black Canyon is one of the largest sheer walled canyons on the continent. Although it is near the mountains, things flatten out as you approach the park. 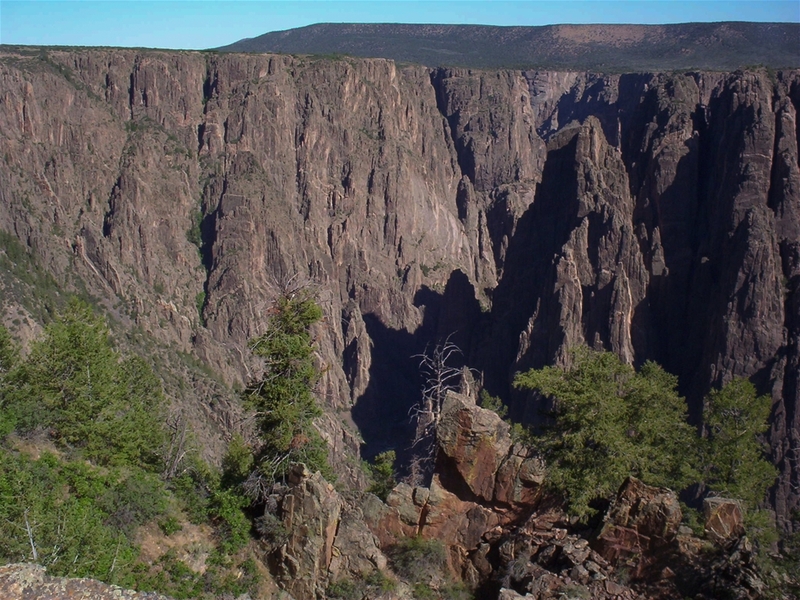 Part of what makes the canyon so impressive is that you can't see it coming right until you step up to the side. In some places, the walls are almost vertical and it is around 2,500 feet deep.